Growing up, Dr. Jess wanted to be an Astronaut. Then she tried astronaut ice-cream and she changed her mind. Once she decided to become a dentist, however, the rest fell into place. She was accepted into dental school, and she flourished. Dr. Jess has a way of making people of all ages feel comfortable. And in our office, you will commonly hear the sounds of laughter. She genuinely wants you to enjoy your time spent in the office with us, and have a beautiful, healthy smile as a result. 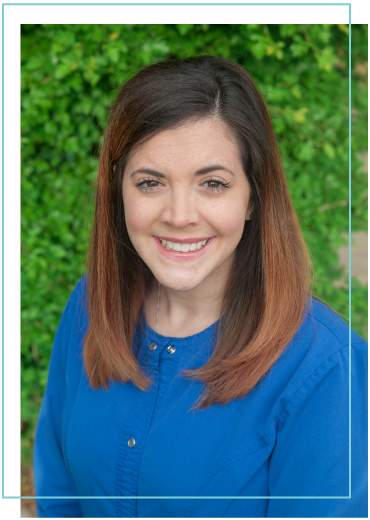 Dr. Jess loves seeing the excitement and joy in a patient as they hit major milestones; graduating from college, marrying your soulmate, or welcoming a new baby. These are moments shared with family, and she looks at her patients as part of Medical Lake Dental’s extended family. It is both an honor and privilege to be a part of so many lives. Dr. Jess Grew up in Iowa. Life’s Journey brought her to Spokane with her husband, Dr. David Toillion, a Spokane native and local pediatric dentist. Together they have 5 beautiful and energetic children; their smiles make every day perfect. 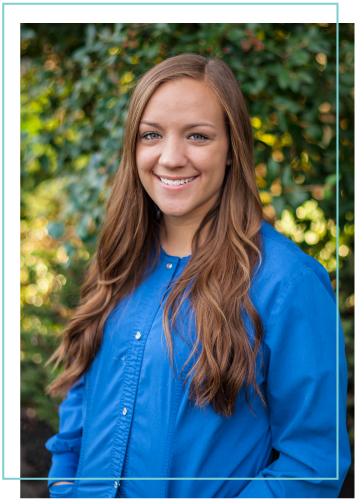 Dr. Jess enjoys running, skiing, and spending time outdoors with her family and a somewhat crazy dog in tow! 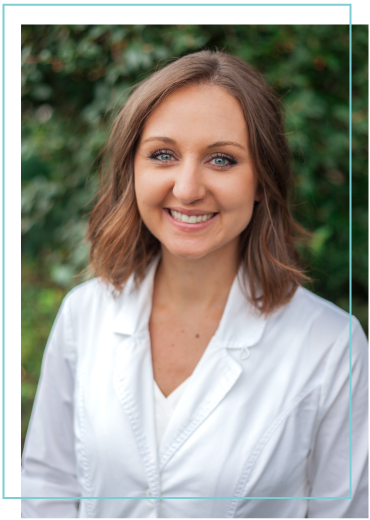 Dr. Jess graduated from University of Iowa in 2004 receiving her Doctorate of Dental Surgery, and an undergraduate degree in Biology. She also holds an undergraduate degree in Psychology from the University of South Dakota. As Dr. Rachelle’s patient, you can expect a thorough and honest evaluation of your oral health. Her goal is to treat her patients the way she would treat her own family- minus the tent and the circus. 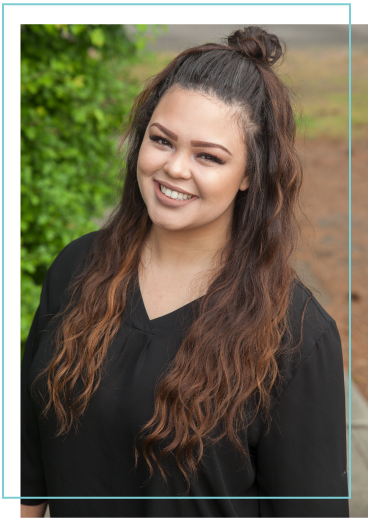 Dr. Rachelle is dedicated to making each patient’s experience safe and comfortable, while enjoying yourself at the same time. She ensures that every person is listened to, respected, and supported from the minute they arrive to when they leave. 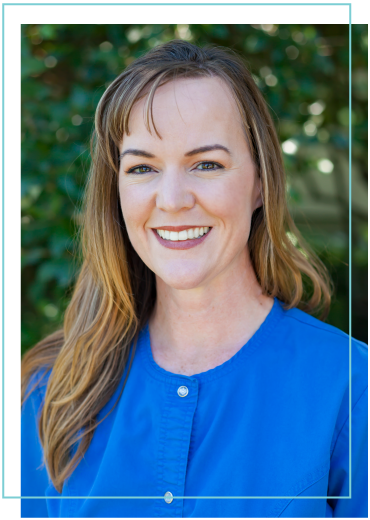 Dr. Rachelle enjoys being a general dentist and having the opportunity to perform a variety of procedures each day; from basic fillings to tooth extractions and root canals. It allows her to think critically, problem solve and utilize her artistic skills, which keeps life interesting. 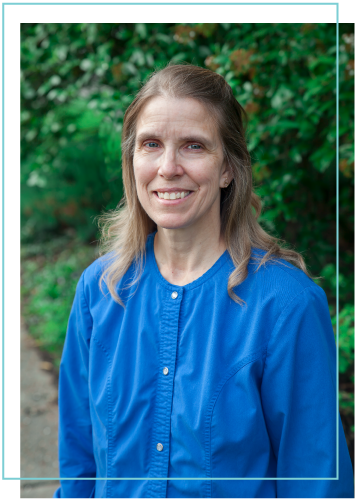 Growing up in the PNW, Dr. Rachelle is no stranger to our great outdoors. She enjoys hiking, kayaking, riding her horse Hannah, and spending time with her husband, Josh, and their little diva dog, Penelope. Dr. Rachelle graduated from University of Washington receiving her Doctorate of Dental Surgery. She also earned undergraduate degrees in Biology and Chemistry from Eastern Washington University. 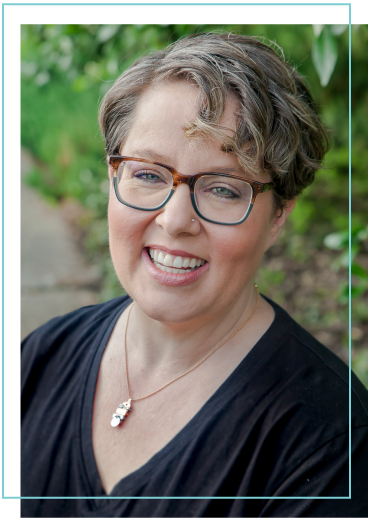 Dr. Rachelle has always been interested in healthcare, and attributes her passion for dentistry to childhood memories of time spent in dental and orthodontic chairs-and the realization of just how much of an impact a dentist can have on a person’s life and self-esteem. 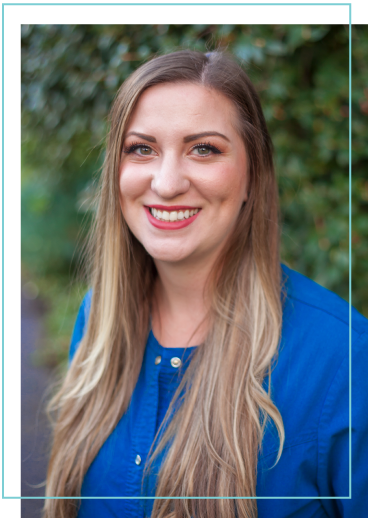 Dr. Rachelle was also part of the Regional Initiatives in Dental Education (RIDE) program, which is a specific educational track of the UW School of Dentistry that trains dentists to meet the needs of rural and underserved populations in the PNW. In conjunction with EWU, UW School of Medicine-Spokane, dental associations, Area Health Education Centers, and community health centers across Washington state, the RIDE curriculum includes a significant amount of training in rural and underserved areas to expand students’ familiarity and comfort in providing dental care for these populations. The RIDE program has successfully increased access to quality dental care in remote communities and has improved the health care system by training team-oriented professionals. Dr. Bruce has been practicing pediatric dentistry for over 40 years. His vision for pediatric dentistry has been an asset to the Greater Spokane community and its children. After attending the University of Iowa School of Dentistry, Dr. Bruce joined the United States Air Force where he was stationed in Wiesbaden, Germany. After returning to the United States with his wife, Arneda, Dr. Bruce went on to receive specialized training in pediatric dentistry at the University of Washington Children’s Hospital. 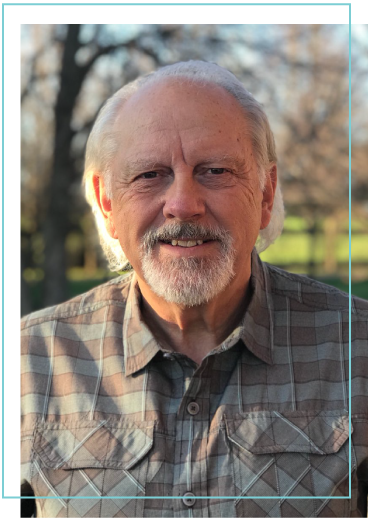 Dr. Bruce is a board certified pediatric dentist, and as such, adheres to rigorous continuing education requirements and maintains the highest standard of practice as delineated by the American Board of Pediatric Dentistry (AAPD). 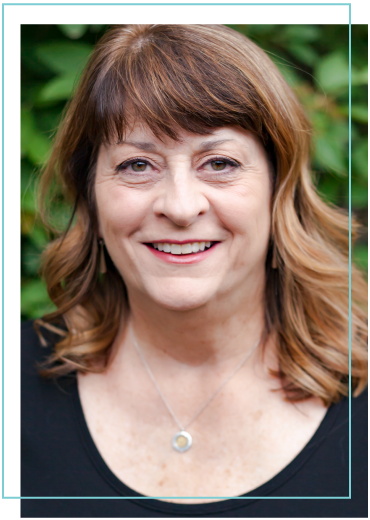 In addition to being a member of the American Board of Pediatric Dentistry, Dr. Bruce is a member of the American Dental Association (ADA), Washington State Dental Association (WSDA), Washington State Academy of Pediatric Dentists (WSAPD), and the Spokane District Dental Society (SDDS). As a child, Dr. Yoon wanted nothing more than to become a dentist. Good thing he followed through, especially since he did not have a backup plan. 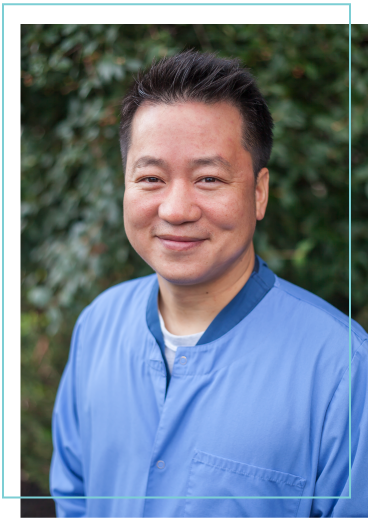 Over the years he has enjoyed creating beautiful smiles and has learned the importance of relationships he creates with his patients, colleagues, and team. He is committed to providing the same level of care to each and every patient, with their best interest at heart. Born in South Korea, Dr. Yoon moved to the U.S. after departing from the Korean Army as an officer in 2001. He met the love of his life, Yuki, in Champaign, Illinois while they were both attending school, and have one beautiful daughter, Sol. Dr. Yoon’s wife was offered a position at Gonzaga University in 2016, and the rest is history. Dr. Yoon is also a captain in the Air National Guard since he joined in 2014. In his leisure time, Dr. Yoon loves spending time with his family, snowboarding, and playing basketball. He is a huge sports fan and is steadily becoming a dedicated Zag! Dr. Yoon graduated from University of Illinois at Urbana-Champaign earning his Bachelor of Science in 2006. He then went on to receive his Doctorate of Dental Surgery from University of Illinois at Chicago (UIC) in 2012. During his four years at UIC college of Dentistry, Dr. Yoon was particularly inspired by the externships in rural Illinois, Barrow Alaska, and China. Through his experience in unfavorable conditions, he has learned that thorough understanding of local culture and lifestyles is essential in treating and educating the residents to improve their oral health. His interest and passion for dental care in public settings began even before dental school. In the summer of 2007, Dr. Yoon had the privilege of being part of a dental team that went to El Alto, Bolivia where health care services of any sort are extremely limited. Their team of dentists and students from the U.S., with the local dentists and medical doctors, tried their best to relieve the patients of their pain and provide preventative education. This was a valuable hands-on experience for Dr. Yoon where he learned that a smile is more rewarding than any other compensation. Welcome to Medical Lake Dental Clinic I’m looking forward to meeting you and making sure you have great visits. I’ll seat you, make sure you’re comfortable, and prepare you to see the doctor while explaining what we’ll be doing. Working chairside, I’ll help the doctor while supporting you and at the end I’ll offer home care instructions. My most important responsibility is making sure you’re happy while here. A smile is the prettiest thing you’ll ever wear. Hello, I’m looking forward to helping you during visits. I am here to support you and will be by your side. If you’re anxious or fearful, I want to know about it: the more I understand what’s happening, the better I can make sure we meet your needs. I offer chairside assistance during dental procedures, helping the doctor and you. I also take X-rays, maintain records, and do laboratory work. I’m here to help, just let me know what you need! Make a smile your signature accessory. Hi and welcome! I’m a people-person and love connecting with people and building relationships. I want you to feel comfortable, have great visits, and feel good about coming to see us. Our doctors and team members offer painless, gentle dental care and want you to be smiling throughout visits. If you ever need anything, just ask! I work chairside, helping the doctor. My focus is always on you and I’ll keep you updated, comfortable, and make you my top priority. A journey of a thousand miles begins with a smile. Welcome! I am happy to be a part of this awesome team, and look forward to being your advocate. I promise to do my best to put you at ease: our doctors and team members offer gentle care and they’ll really listen to your questions and concerns. Working together, we’ll help you achieve your best smile! I’ll make sure you’re comfortable in the chair, explain what will happen during your procedure, and sit at your side. While I help the doctor, I’ll keep you updated and check that you’re happy with everything. You are never fully dressed without a smile. Welcome to our family at Medical Lake Dental. 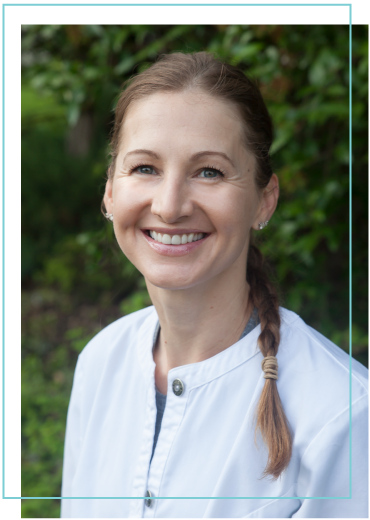 We are your team of Dental Hygienists, and our goal is to guide you through the journey of caring for your oral health. We want what is best for you, and dentistry is not one size fits all. When we recommend treatment for you, it truly means that we feel it is in your best interest, based upon our in-depth knowledge, to achieve optimal health results. 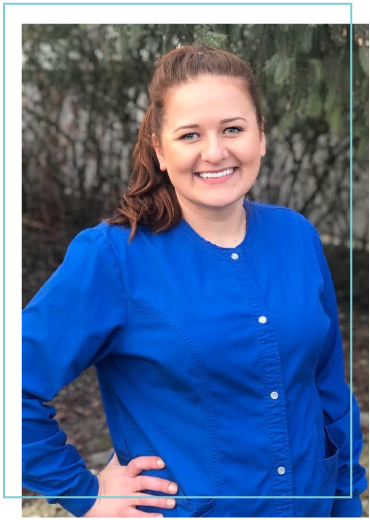 As a Dental Hygienist, we are required to know the same science of other medical professionals so that we can properly help manage all health needs, not just oral health needs, as the mouth is connected to the body as a whole. We want to put a shine is your smile as well as treat, prevent, and screen for disease whether it is systemic or oral health related. This means we take your x-rays, thoroughly clean your teeth, provide fluoride treatments, and partner with our team of Dentists to meet your every need; we also will perform blood pressure check, cancer screening, medication reviews and much more. We want you to know you are so much more than our patient. You become our friend, part of the family. We laugh with you, celebrate with you, and support you in any way we can. Our bond will grow over time, and we genuinely look forward to our time with you. Even on our toughest day, you are what makes everything worth it. I look forward to welcoming you to Medical Lake Dental Clinic. The best part of my work is our patients: I enjoy meeting new people and learning all about them and their family. We have such wonderful conversations and I’m always learning something new! I’ll greet you, check you in, and update your records. I’ll also verify your insurance, submit claims, and handle paperwork as a courtesy. I’m always happy to answer questions, chat about the day, and do whatever I can to ensure you’re happy with your visits. Welcome to Medical Lake Dental. It’s my pleasure to ensure you have only positive interactions and experiences at our practice. We offer a warm, supportive environment and our doctors are patient and kind. They’ll take time to learn about your goals and make sure you understand your dental situation and treatment options. My goal is to ensure we are providing you with the best care. What I love most about my work is simple: forming strong relationships and helping people achieve their healthiest smiles! Billing Specialist doesn’t adequately describe everything I do at Medical Lake Dental Clinic as I wear many hats. I have been both a resident of Medical Lake and a part of this wonderful team for over 20 years. When you walk through the door, you may not see me right away, however, I will be quick to seek you out with a smile, a story about my beautiful grandsons, a cup of coffee, and answers to any questions you may have about billing and insurance. My goal is to is to ensure your insurance serves you in the best manner possible.